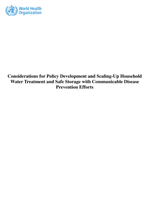 This discussion paper explores how companies can go about conducting a water stewardship assessment and use it as the basis of their water-related collective action efforts. 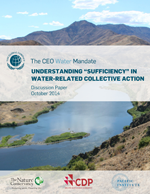 It selectively focuses on water stewardship action at the scale of local watersheds and aquifers, as pursued through collective action with the community of water users sharing those local water resources. 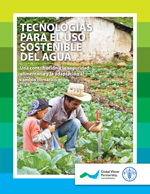 Specifically, it introduces the concept of 'sufficiency' in managing water stress. This fourth edition of the Global Biodiversity Outlook (GBO-4) provides a mid-term assessment of progress towards the implementation of the Strategic Plan for Biodiversity 2011-2020, the Aichi Biodiversity Targets, as well as the UN Decade on Biodiversity. 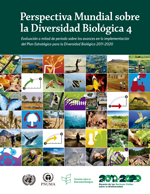 It summarizes the latest data on the status and trends of biodiversity and draws conclusions relevant to the further implementation of the Convention on Biological Diversity. 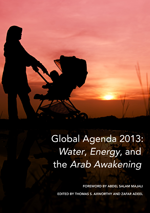 This report examines water resource conflicts in the context of the Arab Spring. It contains comments and papers on: the state of water and politics in the Middle East and North Africa (MENA) region; the water-energy nexus and climate change; sectarianism and Middle Easter geopolitics; and nuclear non-proliferation. Among issues addressed is the proposed Red Sea-Dead Sea canal, which would be designed to rehabilitate parts of the Jordan River Basin as well as the relationship between energy and food demand and water supply. 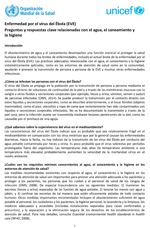 This document summarizes the key questions, recommendations and best practices regarding water, sanitation and hygiene management when dealing with Ebola Virus Disease. It reflects input and advice from microbiologists and virologist with expertise in the environment, environmental engineers, and those with practical knowledge about WASH in emergencies and disease outbreaks. 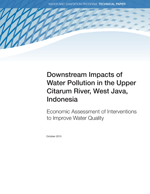 El propósito de este estudio fue desarrollar y probar una metodología específica para valorar una amplia gama de impactos relacionados con la contaminación de los recursos hídricos en Indonesia. 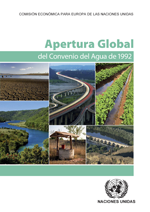 Este informe describe el origen de la contaminación en el caso específico del río Citarum, el efecto sobre la calidad del agua y las pérdidas económicas resultantes del deterioro de la calidad del agua; también identifica intervenciones factibles para mejorar la calidad del agua y predice el efecto de estas medidas sobre su calidad. 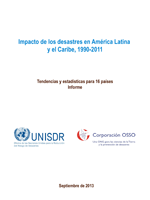 Este documento resume el marco conceptual del cambio climático y sus impactos en Centroamérica, la relación entre el cambio climático, la seguridad hídrica y la seguridad alimentaria y algunas de las tecnologías y prácticas exitosas que se han implementado en la región en relación con la captación, almacenamiento y distribución del agua a nivel de la agricultura familiar. 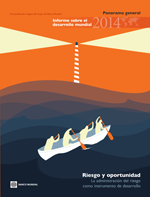 Resumen del Informe sobre el desarrollo mundial 2014. Riesgo y oportunidad: La administración del riesgo como instrumento de desarrollo.